When you need perfect joint or cigarette, best is to use rolling papers. Type of paper used to make cigarettes makes big difference on the result of final cigarette. Using best rolling paper you can make sure that cigarette or joint burns slower and evenly. Moreover, you can also get papers that are free from toxins and this way you can save your lungs. Usually rolling papers are judged by some key features like safety, thickness as well as durability. To inhale less of paper or save lungs, get thin papers. Trade off is that thin papers are bit difficult to roll. About safety, few papers naturally have more chemicals as compared to others therefore it is smarter to research what exactly you inhale. Lastly, about durability, you will need rolling paper that would not tear when you roll it and not crumble whenever you smoke it. Do not believe that all rolling papers are similar. By using best rolling papers one can save yourself a lot of time as well as money. Also use best weed grinder to shred it before you roll it in the paper. RAW King Size is popular brand and it is the best rolling paper made from 100% hemp which does not undergo any bleach treatment. It doesn’t have any of harsh chemical or toxin that are fund in standard papers. For such reason, we believe this is one of the best rolling paper. It have a light brown tint which comes in standard size of 110mm or 4.5 inches or bit shorter than smart phone size. 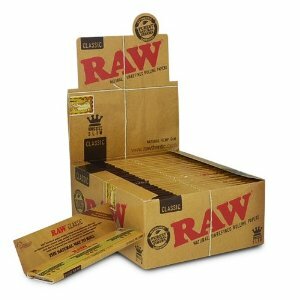 RAW also make shorter sized papers for those who like standard size. It is very easy to roll it. Material of the paper has matte finish which feels smooth just like screen protectors and doesn’t stick which is one of the important aspect while rolling a joint. It burns slowly and evenly and also has a hint of sweet after taste. Overall, Raw King Size Rolling Papers are best for those who want to buy for value in terms of natural and cheap paper that also tastes good. Zig Zag is another rolling paper brand that has a USP of thinnest rolling paper. They are so much thin that it looks transparent and inside content is pretty much visible. So you will have the least amount of paper to smoke. Although this paper is harmful for lungs, being thin enough can balance this out. It’s thin, still very much durable even more durable than thicker papers. It never break until you use too much saliva over it. 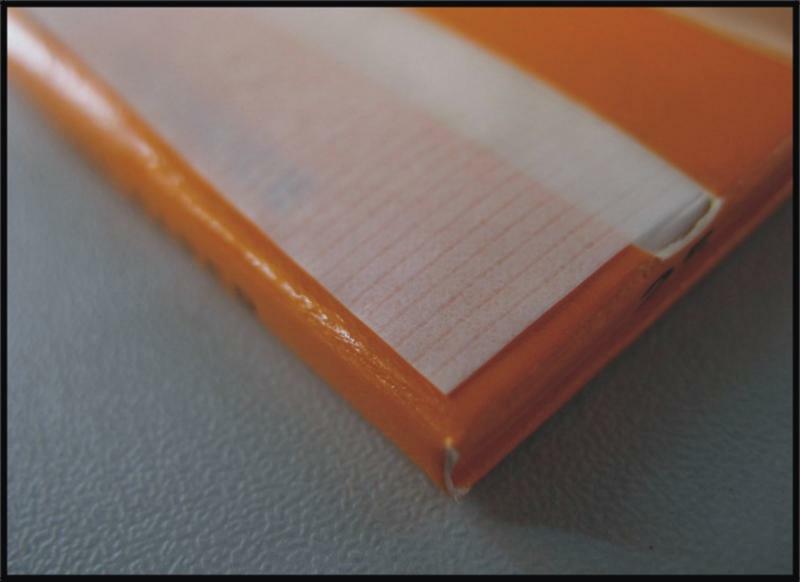 If you do not like thin papers, you should look for Zig Zag orange that is slightly thicker. Despite being ultra-thin, it burn great and out last any other gas station brand. We test it with others and Zig Zag outlast all. About rolling, we do not found any problems. However some people complained that rolling a thin delicate paper isn’t comfortable. Double faced glue which holds it togaether is strong enough that you only need to wet it a bit. Moreover, it taste good and smell great and doesn’t let out stench when burned. 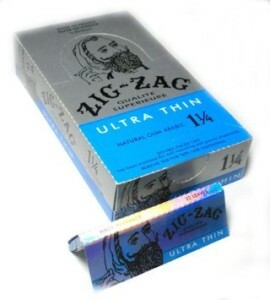 For those who need something light and ultrathin, Zig Zag Rolling Papers are best. 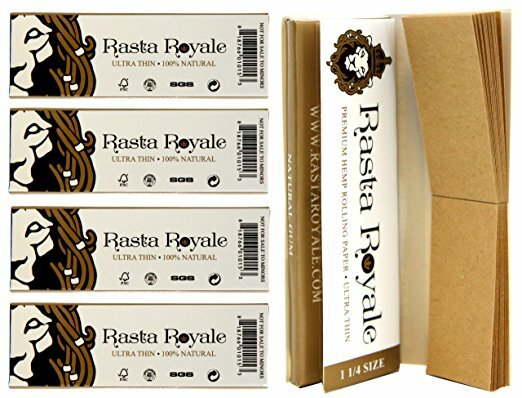 Rasta Royale is one of the premium boutique name that makes best rolling papers. Although not very much popular when compared to Zig Zag and Raw, it sells quality products. It is usually popular for rolling marijuana joints, because they are too wide for filling just tobacco. Papers are 1.5 inch wide that is 0.25 inch more as compared to industry standard. Added width gives you extra error margin and fatter roll. Rasta Royale also offer standard size papers with length of 78mm just like ordinary cigarette, however you can also buy king size papers. Rasta is ncie as it is made from 100% natural hemp which is unbleached. There isn’t any nasty taste in it and no nasty burn aftertaste. It burns smoothly and evenly. Although not as thin as Zig Zag or thicker like RAW, it burns slowly and tears less often as compared to RAW. It also gets rolls easily and taste good as compared to RAW. Unfortunately, it is not very much popular and really need a try. 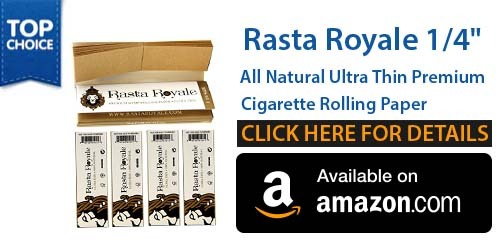 Believe if you really among those who try new and different things then you must try Rasta Royale 1.5 Inch all natural Ultra-thin Hemp Rolling Paper. At times making joints become boring, Juicy Jay’s Flavored Papers are best to mix with your rolling papers. They come in pack of 8, with many flavors to make your mood. Initially you may get confused with the flavors, however with time you know all taste great and you taste it as you smoke as well as afterwards when you lick your lips. This taste lasts whole joint, and is not overwhelmingly sweet in taste. 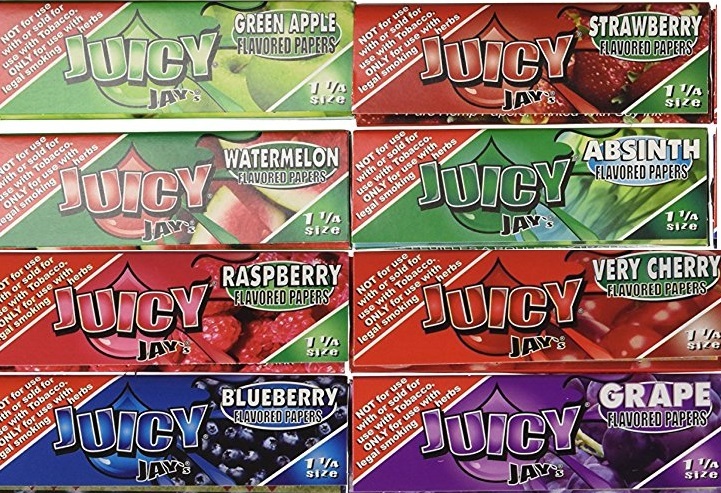 If you want to add some flavor to your weed, Juicy Jay’s is your choice. Although flavored yet they are made from hemp so you are smoking something organic without ingesting chemicals and bleach. You really feel the difference when get gentle smoke on your lungs and throat without compromising the strength of your rolling papers. They do not tear and hold up well in rolling and the best thing don’t collapse. 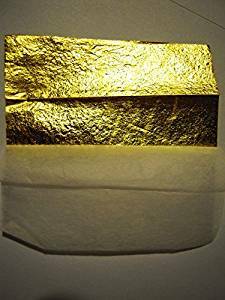 The Shine 24 K Gold is probably the coolest rolling paper out there. It is real gold and comes with Authenticity Certificate for proof. You will really become impressed when you see how strong this paper is for it being gold. It rolled up very easily and burn fine and even. Gold remains behind on ashes also and that’s really entertaining. So you can feel how rich that smoking gold experience is. Whenever you pull it out at a party everyone’s head will turn. You may expect it will burn away quickly because of being gold, however you will be surprised because that outlast some others burning in room. This gold paper is such a big hit that everyone will beg to have a puff of it. You will have no problems with edges sticking, and it will hold its shape till whole thing becomes ashes. If you really want to be a show off or baller, Shine 24K Gold Rolling Papers is for you. 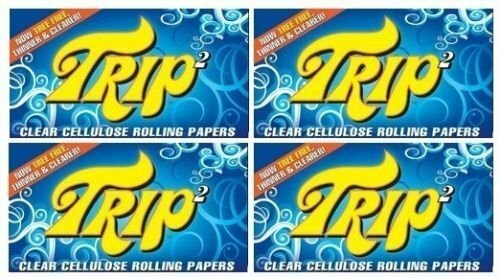 Trip 2 Clear are neat-o rolling paper that have made good name in cigarette rolling industry. These are completely clear or transparent and looks like that just the weed and tobacco is floating around on the fire. You will find and easy time while rolling such papers and expect them to wrinkle up as cellulose material they are made from, however they are strong enough to hold their shape. You will crack up whole time while rolling these papers. They are so much clear that you may lost them. They are super strong therefore you can fill enough amount of ground weed inside them. As soon as you roll it up, paper sparks up immediately and don’t run. They last longer while burning and you don’t find any weird taste in it and instead the only thing you taste is your weed.